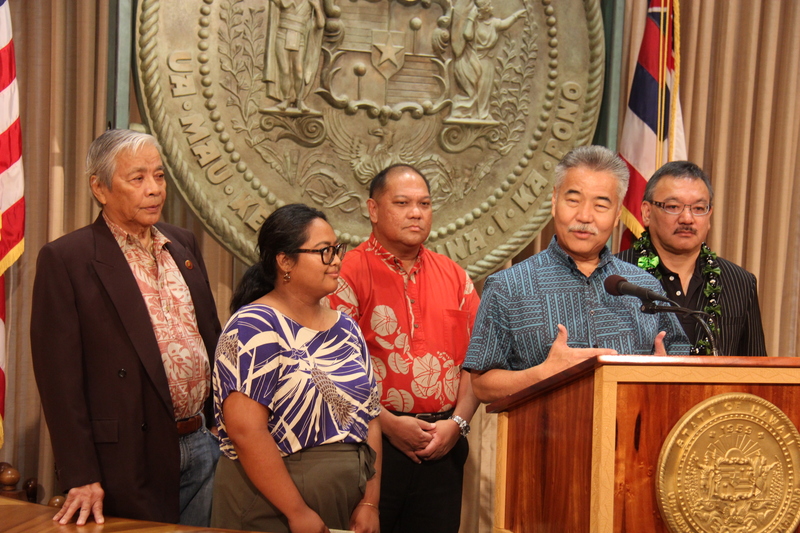 Governor Ige at an Aug. 22 news conference with Kalihi 21st Century vision team members. It’s rare that a whole community has the chance to weigh in at the start of a complex planning process. But that was the governor’s goal for the Kalihi 21st Century Vision Team. The result? A report filled with their hopes for Kalihi, combining its proud working-class heritage and values with economic growth for jobs and housing. 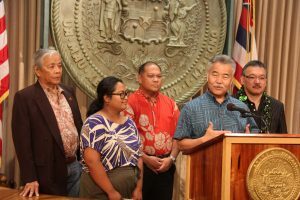 The vision depends, at least partly, on whether the O‘ahu Community Correctional Center will be relocated, as well as proposed rail transit stations.